The opening race at Newbury on Ladbrokes Trophy day is the Listed Ladbrokes Mares' Novices' Hurdle, in which Lust For Glory steps up to Listed Company following her victory here on hurdles debut. She looked well before hand, and run out a comfortable of a Mares Novice beating the well-fancied Posh Trish who she lines up against once. Also a winner of a bumper at Ludlow back in May, she represents a top yard, who believe there is much more to come. Santini's highly-anticipated chasing debut will come in the Grade 2 Ladbrokes John Francome Novices' Chase. The 6yo - who began his hurdles career here at Newbury twelve months ago, skipped the Friday card for this race. He finished third last year when well fancied for the Albert Bartlett behind Kilbricken Storm at the Festival, but put his mistakes right in the G1 Doom Bar Sefton Novices' Hurdle. Big, strong and scopey horse, which looks to suit jumping fences, has every possibility to get off the mark here at the first time of asking. Paul Nicholls sends Adrien Du Pont for the Sir Peter O'Sullevan Memorial Handicap Chase, hoping to improve on his good fourth in the recent Sodexo Gold Cup at Ascot. Beaten no more than six lengths on his first start for over six months, there was plenty to like about his return to the racecourse setting, and could of finished closer to the winner had he not blundered badly at the last. Trainer is a master at getting these right, and has had jumping mistakes in his locker before, but a first win for over a year does not look too far away. 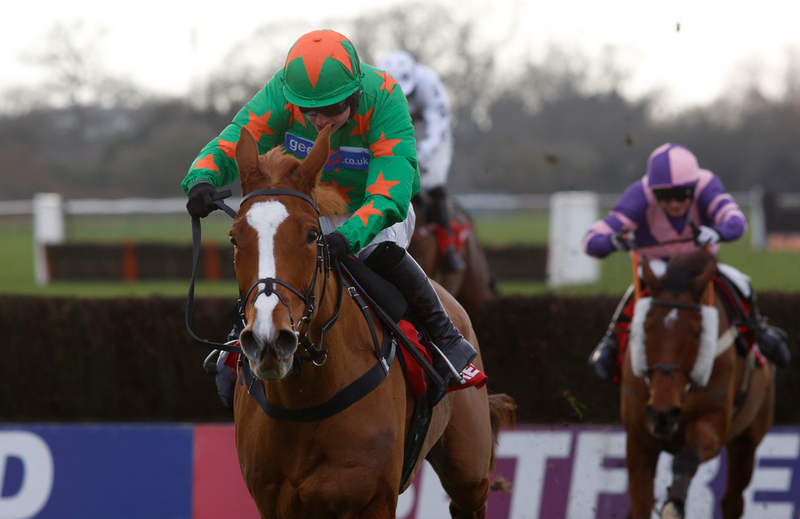 After such a long period on the flats, Speedo Boy has really stepped up and taken to hurdles with great inspiration, and now goes for the Ladbrokes Handicap Hurdle against some top-class opposition. He stayed on well up the Cheltenham hill when scoring in a similar contest over slightly further, and the step back will not be of a concern. Will surely produce even better on a flatter track at Newbury, and more progression expected. Next up is the Ladbrokes Intermediate Hurdle - a Listed Limited Handicap, also registered As The Gerry Feilden Hurdle, and this can be taken by Ben Pauling's Global Citizen. Pauling sadly had to withdraw Willoughby Court on the Friday card due to the horse being lame, but did strike with a surprise winner in the opener, and can be involved here with this 6yo. Second to Fidux in a Listed contest at Ascot almost a month ago, surely puts him in the firing line for a crack at this. Will be in the frame. The feature race of the day is non-other than the Grade 3 Ladbrokes Trophy, and we have selected the only mare in the field, who is the loveable character known as Ms Parfois. She has been such a consistent 7yo for Anthony Honeyball, including a handful of fine successes over the autumn and the winter. She gave everything in defeat to Rathvinden in the four-miler at the Festival when just being denied - so stamina is assured, exactly a month before again just falling short in the Mildmay Novices Chase at Aintree behind Terrefort, who has gone the wrong way since. Ever so reliable, she can progress even further with every chance here off a feather-weight. Lady Buttons won a Listed contest last time out at Wetherby, but now drops down to a Ladbrokes Handicap Steeple Chase (For The Jim Joel Memorial Trophy). A winner of five of his fifteen hurdle contests, she is good form of late - with two wins from three over fences, and this looks a golden opportunity for another success for Philip Kirby and Adam Nicol.